UNITED NATIONS, Feb 19 2014 (IPS) - When the U.N.’s Millennium Development Goals (MDGs) reach their deadline in 2015, there will still be a critical setback: millions of people in the developing world without full access to safe drinking water, proper sanitation and electricity in their homes. Conscious of this shortcoming, the 193-member General Assembly hosted a two-day high-level meeting, which concluded Wednesday, to address three thematic issues: water, sanitation and sustainable energy, specifically in the context of the U.N.’s post-2015 development agenda. But water experts are sceptical whether the targets will be fully met by 2015 unless there is a dramatic acceleration of the current pace, particularly in South Asia and sub-Saharan Africa. 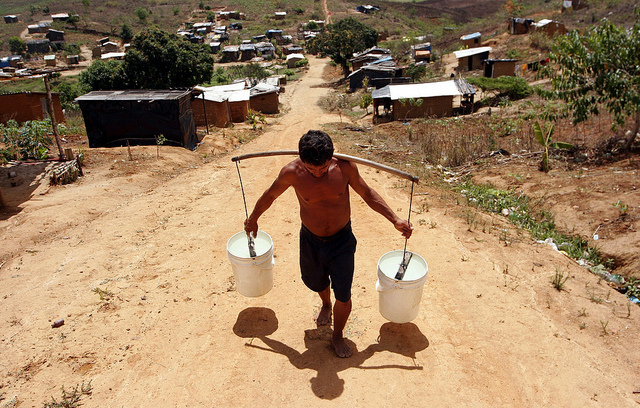 •	768 million people in the world don't have access to safe water. This is roughly one in 10 of the world's population. •	2.5 billion people don't have access to an adequate bathroom, one in three of the world's population. •	Around 700,000 children die every year from diarrhea caused by unsafe water and poor sanitation. That's almost 2,000 children a day. A 2012 U.N. report claimed the goal to halve the proportion of people living without access to safe drinking water has been reached – with more than two billion people being the beneficiaries. Still, there are 327 million sub-Saharan Africans without this crucial service today than in 1990, Girish Menon, director of international programmes at the London-based WaterAid, told IPS. At current rates, he predicted, it will take until at least 2030 for sub-Saharan Africa to meet the MDG water target. Addressing delegates Tuesday, General Assembly President John Ashe described the magnitude of the problem as great: 783 million people live without clean water, 2.5 billion have no adequate sanitation and 1.4 billion people are without access to electricity, he said. “Compounding this problem is the fact that in many countries across the globe there is severe water stress and water scarcity,” he said. Ashe said about 80 percent of the world’s population lives in areas with high water security threats. The MDG target for water has been met, but without widespread water quality monitoring, and the estimates for the number of people using safe water is based on a proxy measure (the type of technology households use), she noted. “Not enough progress has been made on sanitation and we are off-track to achieve the MDG target,” said Brocklehurst. She said hygiene was not part of the MDGs and as a result it has not received the attention it needs. “And perhaps most worryingly, what progress has been made in both water and sanitation is highly inequitable,” she added. She pointed out that urban dwellers are far more likely to have water and sanitation than rural dwellers, and the rich are more likely to have received services than the poor. There is also evidence suggesting that within some countries, marginalised ethnic groups are more likely to rely on unimproved water sources and practise open defecation, she added. Today, only 30 percent of Sub-Saharan Africans have adequate sanitation, a number that has only grown by four percent since 1990. Slow progress on sanitation is holding back progress on many other targets, he added. Menon said water, sanitation and hygiene are critical to eradicating poverty, improving health, nutrition, education and gender equality, and enabling economic growth. “Given the scale of the challenge we are calling for a dedicated global goal focused on securing sustainable water and sanitation for all,” he said. Brocklehurst told IPS that reported progress on many of the other MDGs shows similar outcomes, and in general, new targets after 2015 will have to be designed to encourage governments to make the poor, vulnerable and marginalised a high priority. Water, sanitation and hygiene underpin progress in health, nutrition, gender equity and education and so should be a key part of future targets; and the targets set for them must build momentum toward universal access as an urgent priority, she added. Asked if the current global financial crisis is having an impact on the achievement of MDGs, specifically water and sanitation, Menon said global aid for water and sanitation fell by around one billion dollars between 2009 and 2011, partly because of the financial crisis. While water and sanitation aid rebounded in 2012, they are still at half the level required to fill the MDG funding gap. 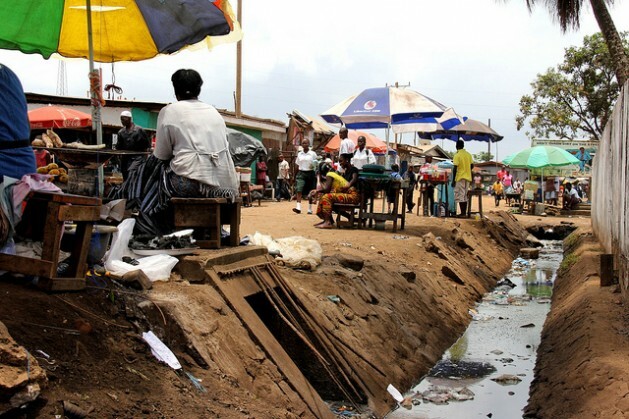 Developing countries’ figures on water and sanitation spending are unclear, but it’s apparent that no Sub-Saharan African government has met even their own target of 0.5 percent of gross domestic product (GDP) on sanitation, Menon pointed out. Asked if the United Nations was doing enough, Menon said U.N. Deputy-Secretary General Jan Eliasson has been taking the lead in making water, sanitation and hygiene political priorities, as seen in his “Call to Action on Sanitation” and keynote speeches at the U.N. and other international forums. Meanwhile, he said, the World Health Organisation (WHO) and UNICEF have led international consultations to develop new targets for achieving universal access to water, sanitation and hygiene post-2015 . “WaterAid has actively supported these efforts and believes that universal access by 2030 is ambitious but achievable,” Menon concluded. The developed world needs to understand that without justice for the developing world, there can be no solutions to our most pressing problems: overpopulation, mass extinction, and global warming.